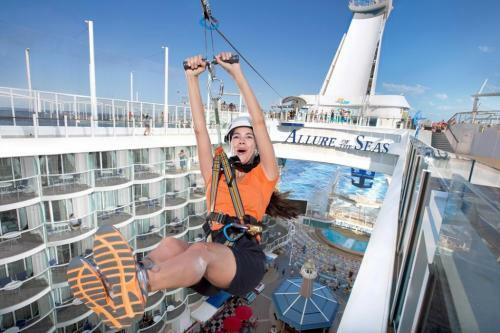 Convincing someone to try a Royal Caribbean cruise is no easy task. Many people have negative preconceptions about cruising, had a bad experience in the past on another cruise line, or have some other reason for disliking the notion of a cruise vacation. These negatives run the gamut from expensive to being bored and more. There is no shortage of opinions from many different sources that purport the shortfalls of cruising. Negative Royal Caribbean specific arguments tend to be a little less common, but given the broad range of opinions on the internet, they certainly exist too. Regardless of the background of the person you are trying to convince, it is possible to convince them to take a Royal Caribbean cruise and (more importantly) for them to have a good time. You have to know how to approach the trip and convince them to go in with an open mind. Here are some of our tips for convincing your spouse, or anyone else, to take a Royal Caribbean cruise vacation. If you encounter someone who dislikes the idea of taking a Royal Caribbean cruise, often it is based around certain fears or opinions of what a cruise vacation is all about. The key is to assuage them of these concerns. "I'll be bored" or "There won't be enough to do"
Many first time cruisers imagine a glorified fishing boat, where all you do is sit around between meals. A Royal Caribbean cruise is anything but that, as their ships are packed with incredible experiences that run throughout the day and night. Consider looking at a Quantum or Oasis Class cruise ship, which have the latest and greatest experiences onboard. These ships were built with activities and things to do onboard. Show them some past Cruise Compasses, which are the daily newspaper of events for the ship. The Cruise Compass lists every onboard activity, and is a great example of how much there is to see and do on a Royal Caribbean cruise. You might also consider an itinerary that has more port stops than sea days. Visiting these beautiful islands and cities means an opportunity to explore off the ship. Having a port-intensive itinerary minimizes the amount of time on the ship, and can be a good "stepping stone" to a fuller cruise experience. "I will get sea sick"
A very common misconception about a cruise vacation is they will get sea sick. It can be based on nothing at all, or a past boating experience, or an extension of motion sickness suffered elsewhere (like on cars or trains). Royal Caribbean cruise ships are massive. Significantly larger than any fishing boat or ferry they may have taken in the past. The ships employ advanced stabilizers that keep the sensation of movement on a ship at a minimum. Moreover, the Captain will constantly seek out the smoothest waters. Smooth waters means happy guests, and happy guests translate to more money being spent onboard. In the unlikely event of getting sea sick, there are also plenty of medication available that can easily mitigate the effects of getting sea sickness. There are great over the counter medications, natural remedies, and even prescription medicine that can help. Spending a few dollars to buy these items as a backup can be the kind of reassurance needed to get someone to try a cruise. The price of a cruise vacation is as varied as the cost of a car. Just like there are car prices that are $16k, $30k, $100k and more, cruise prices can vary significantly. When it comes to a Royal Caribbean cruise, it does not have to be expensive. In fact, it is an excellent value. It is important to talk about everything that is included with the cruise fare, such as complimentary meals and beverages, entertainment each day and night, activities onboard, and more. Remind them that if you were to take a land vacation, they would have to pay for food in addition to their lodging and transportation. Royal Caribbean has so many ships in their fleet that visit destinations around the world, that there is bound to be a sailing that fits in their price range. Between the itinerary, sail date, and stateroom type, there is a lot of choices. This just covers a couple of common complaints about the cruise vactions, but you get the idea. 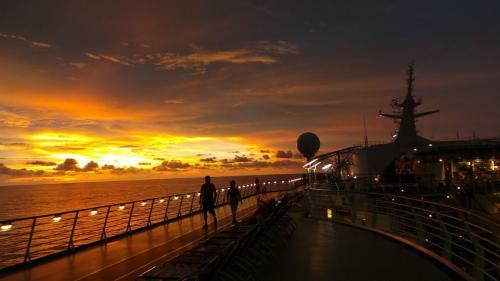 Find out what they do not like about a cruise, and thenexplain why those fears are misplaced. Talk to them about what really goes on during a cruise, and determine how you will avoid their fears. Then, think of things that disprove these stereotypes, and add them to your plan. A key to success for convincing someone to take a Royal Caribbean cruise is to make it personal. Find something they enjoy and illustrate how a Royal Caribbean cruise incorporates that passion. If they are a fitness nut, talk about the impressive fitness center and classes available on Royal Caribbean ships. Show them there is a running track onboard, and even shore excursions that demand physical endurance. If they are a foodie, pick a Royal Caribbean ship that has a lot of great restaurants and talk about the variety of foods available onboard. Consider even investing in a specialty dining package to help bring the cost down to enjoy those experiences. If they have kids, be sure to talk about the award-winning Adventure Ocean program, which means there is programming for children every day and night of the cruise. The kids get to have fun playing with other kids, while you get time to yourself. Any parent should jump at that opportunity. If they like history and culture, talk about the ports your cruise ship will visit. Show them the kind of experiences they can have in a single cruise, such as visiting Mayan Ruins in Mexico, touring a plantation house in Jamaica, and going where Spanish Conquistadors first stepped foot in Puerto Rico. I imagine many people who have never taken a cruise before, think of a cruise ship as a giant floating pool with a cafeteria somewhere and a bunch of newly weds and retirees strewn about. Tell that to someone who has taken a Royal Caribbean cruise before, and they are likely to laugh at hearing that description. The key is to talk about everything a Royal Caribbean ship offers. When you are trying to convince someone to try a cruise, focus on the type of activities and offerings found on Royal Caribbean. Your list will vary depending on which ship you are considering, but here are some good points not to miss. You get the idea with just the items we picked on this list. The great thing about a Royal Caribbean cruise is that it offers so much to do that will appeal to virtually anyone. Whatever your friend/spouse/colleague/sibling's interests are, chances are there is some way to cater those interests on Royal Caribbean. You can talk about how great something is for days, but videos work wonders because they can see what you are talking about. Incorporating video in your strategy works wonders. YouTube is likely the best source of videos that show off how much fun a Royal Caribbean vacation can be. Find videos that back up the points and ideas discussed earlier and use that to show them what you mean. There are videos that incorporate ship tours, recordings of shows, vlogs, and a lot more. Inevitably, you should have no trouble finding videos that provide a glimpse of the kind of fun waiting for them onboard. Share these videos on their Facebook page, or text them a link to the videos so that they can quickly see your point. If the video is already on Facebook, tag them in the video so they get notified. Odds are they will click and watch. We have listed a lot of suggestions for those trying to convince someone else to go on a Royal Caribbean cruise, but do you know of an idea that we missed? If you have run into this scenario before, we would love to hear suggestions you might have to offer, or even stories about a reluctant spouse or friend that you can share. Please leave your stories, experiences and suggestions in the comments!